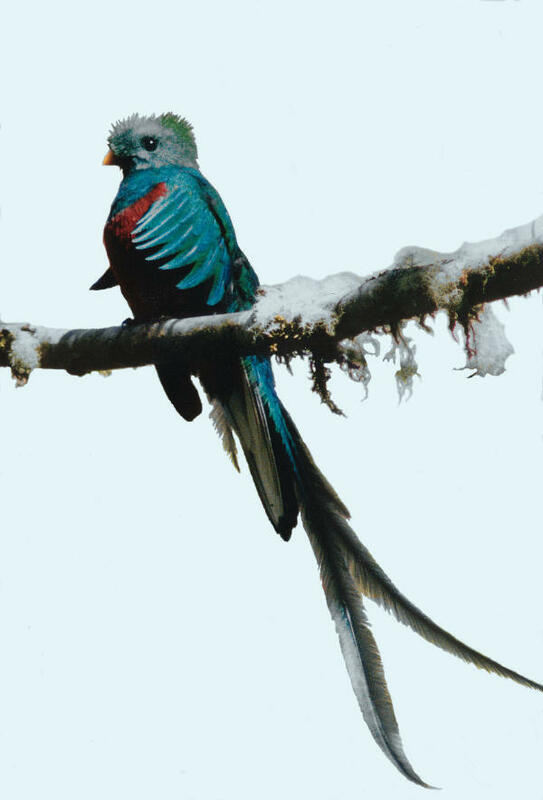 A new study reports that Resplendent Quetzals and other mountain species in Honduras are moving to higher elevations at an average rate of 23 feet per year. Although habitat loss may be a contributing factor, the ornithologists believe climate change is the real cause. The study was conducted in cloud forests, a habitat that literally never dries. The scientists predicted that rising temperatures and changes in precipitation would dry out lower altitude areas, forcing many birds to move higher to find their desired habitats. Overall, tropical mountain slope habitats support some of the highest levels of biodiversity in the world.